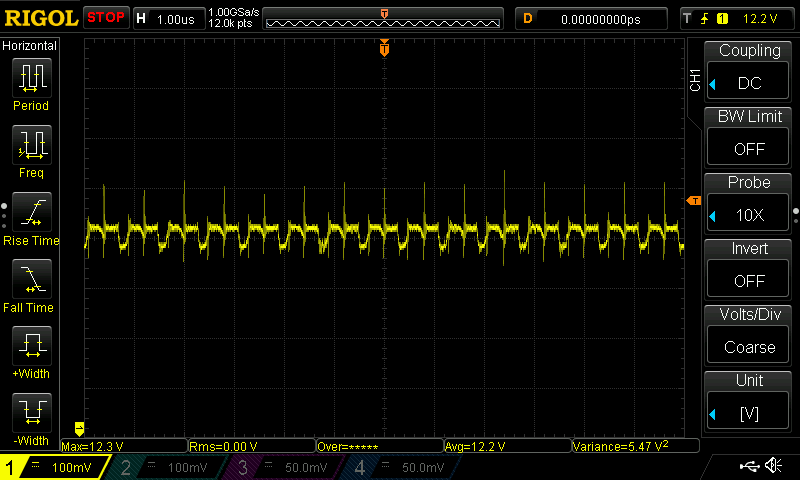 This first scope picture show what I saw as 12V out. 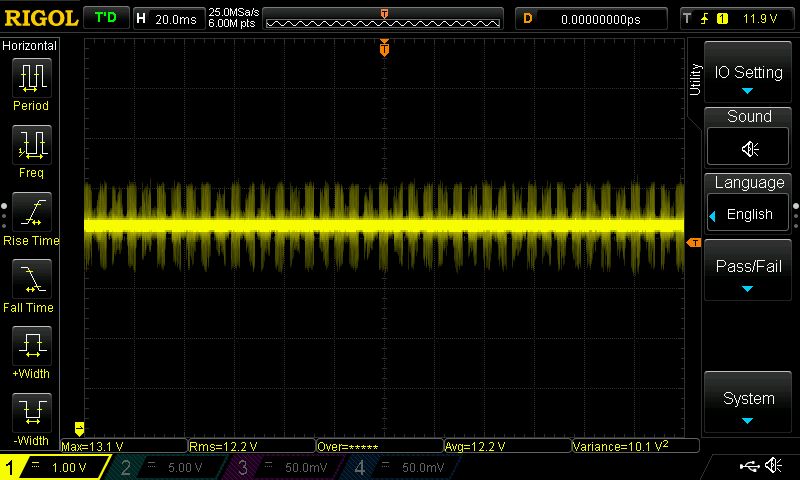 It is 12.2V, but look at that ripple picture of several voltages. To compare I scoped what I got out of my PSU and what a shock – I saw the same signature in and huge spikes & ripples out of the DPS5005 based PSU. 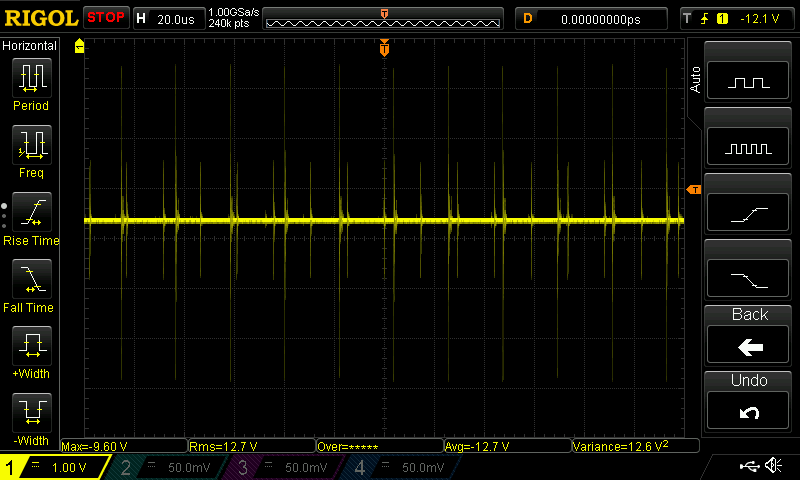 This is a bit better as we have 12.2V and +/-100mV ripple out. But, I need to go back and open my DPS5005 to figure out where the ripple noise is introduced.